Here you can find more information about FLVX, usage and shipping. 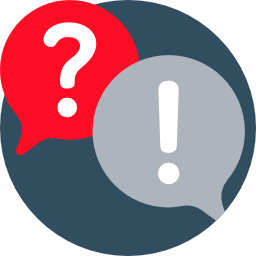 Is your question not listed in the FAQ? Contact us using the chat window at the bottom right or by email at contact@flvx.me! How exactly does FLVX work? Put simply, FLVX gives your brain exactly the building blocks it needs to think properly. Everything that happens in your brain is actually a collection of processes that do not always run smoothly due to a shortage of these building blocks. FLVX contains exactly those ingredients that make these processes possible and optimize your mental performance. You can read more about this on the product page. What makes FLVX so suitable for getting things done? 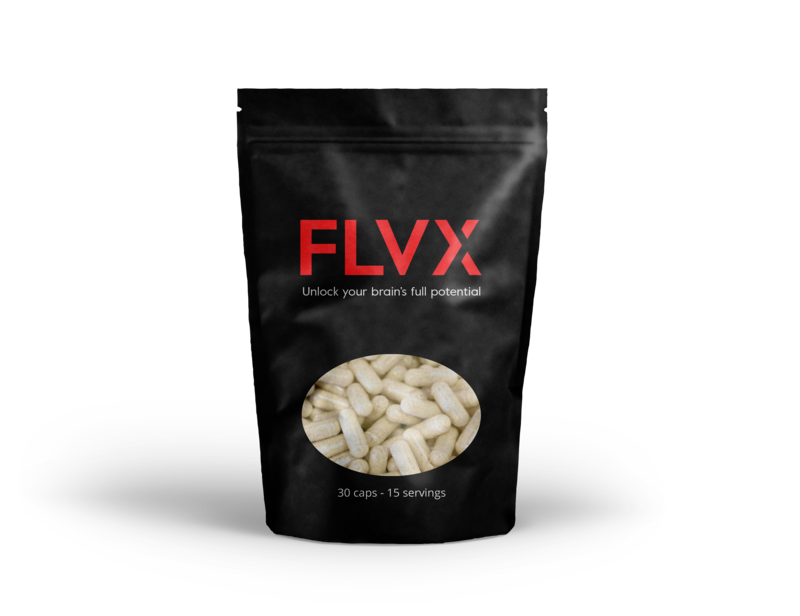 FLVX contains substances that improve cognitive performance. It can help you achieve a state of clarity, concentration and can optimise your performance. The nootropics in FLVX are also known for promoting the “flow state”. This is a state of maximum concentration and dedication to what you are doing. The flow state is in any case a very interesting phenomenon. You can read more about it here. How will I feel when I take FLVX? Many people expect to feel “different” immediately when they take FLVX. This may indeed be the case for some, but the effect of FLVX is mainly that it improves certain processes in your brain. This mean you do not always “feel” it immediately, but afterwards you will notice that you were more concentrated on your work and that you remember things better. You are fully engaged in what you are doing and notice that you are performing optimally. In addition, FLVX improves your mood and reduces stress. Will I build up a tolerance over time? It depends. Several ingredients of FLVX work better after a while, but it is possible to build up a tolerance to caffeine. That’s why we recommend taking FLVX during the work week and not on weekends. One serving of two capsules contains 80 milligrams of caffeine. In comparison, there is an average of 85 milligrams of caffeine in one cup of coffee. Tolerance building generally depends very heavily on the individual person. A good example is caffeine: some people are very sensitive and bounce off the walls with one cup of coffee. Others drink 6 double espressos and notice very little. The only way to find out is to test it for yourself. How do I use FLVX and what is the best dose? You can take the capsules with water, without having to break them open. FLVX works within 30-45 minutes and is effective for 4 to 5 hours. Use FLVX instead of coffee or energy drink for intense focus and productivity. FLVX uses a scientifically based dose as much as possible. This means that 1 serving (2 capsules) contains exactly the amount of each ingredient that has a scientifically proven effect. Taking more or fewer capsules does not necessarily mean a better or worse effect. This is because every body responds differently. Two capsules should, in theory, be just right. We advise not to take more than 2 doses of 2 capsules per 24 hours, and no more than 1 dose at a time. Can I use FLVX every day? You can definitely use FLVX every day. Several substances from FLVX have been proved to have positive long-term effects. It is however advisable to occasionally take a break, so that you do not build up a tolerance for the caffeine in FLVX. We therefore recommend taking FLVX during the work week when you need to be productive and taking a break on weekends. How is FLVX different to coffee or energy drink? Traditional energy-enhancing products such as coffee or energy drink often stimulate the nervous system too much, leading to a peak and then a crash. FLVX is designed to give you a boost in a focused and relaxed way. Caffeine, the active substance in coffee, blocks certain receptors that can cause fatigue. What coffee does not do is contribute to the biological process in the brain, FLVX does. In contrast to caffeine, FLVX improves your memory, increases your acetylcholine level and stimulates the metabolism of neurotransmitters. Can I combine FLVX with coffee? Yes. It is completely safe to combine FLVX with coffee. On a daily basis, it is recommended to limit the intake of caffeine to 400-600 milligrams per day. 1 dose of 2 capsules of FLVX contains exactly 80 milligrams of caffeine. In comparison, an average of 85 milligrams of caffeine is contained in 1 cup of coffee. Since 1 dose of FLVX contains about as much caffeine as one cup of coffee, you could choose to see FLVX as a substitute for coffee. I don’t feel any effect after taking FLVX, why? It is possible that you will immediately feel different after taking FLVX, but that does not necessarily have to be the case. FLVX contributes to processes in the brain, and this does not cause a noticeable feeling for everyone. Instead, it improves the how your brain works in a scientifically proven way. It is therefore possible that you do not feel an immediate effect, even though there is an effect. So you will probably not feel any different, as is the case with many medicines. However, you may find that you suddenly remember things better, or find it easier to solve difficult problems. The effect of the product varies per person, depending on how sensitive you are to certain substances that are in FLVX. We understand that you may find it complicated, so email us with your questions at contact@flvx.me, we are happy to help! Nootropics are broadly defined as substances that improve cognitive functions, with minimal side effects and that are suitable for long-term use. They affect existing processes within your brain, neurons and neurotransmitters. The best known nootropic is caffeine, which is in coffee and tea, and gives you more focus and energy. However, there are many more substances with a positive effect on your brain that are not as well known, but work just as well. We have selected the best of them and combined them in our product. FLVX products only contain natural nootropics. Learn more about nootropics and types of nootropics: click here. Are FLVX products vegan and gluten free? Yes. FLVX products vegan and gluten free. How are FLVX products produced? FLVX is a combination of different ingredients. Before these ingredients are used in our products they are checked for quality, hygiene and origin according to strict guidelines (such as the HACCP (Hazard Analysis and Critical Control Points)). These ingredients are then processed in the correct proportions and then added to a vegetarian capsule. More information about the production process can be found here. FLVX contains Alpha GPC, a substance extracted from soy. As a result, people who are allergic to soy may not respond as well to FLVX. In case of an allergy, always ask your doctor if this supplement is safe to take. Does FLVX have any side effects? FLVX has no side effects, not even if FLVX is used for a longer period. The only substance in FLVX that could possibly be mildly addictive in the long term is caffeine. This is of course no different than drinking a cup of coffee every day, but we would like to mention it anyway. All ingredients in FLVX have been tested separately on their function and safety. You can find research about every ingredient on the product page. All the ingredients in FLVX are labeled by the US Food and Drug Administration as GRAS (Generally Regarded as Safe) and are therefore considered safe. Can I combine FLVX with my other medication? FLVX contains ingredients that influence how your brain functions, and therefore also your neurotransmitters. A lot of medication works through similar mechanisms in the body. It is therefore possible that certain medications can interact with the ingredients from FLVX. In many cases there is no cause for concern, but if you use medication we always recommend to ask your doctor first whether it is wise to use FLVX. Where can I find the status of my shipment? You will receive an order confirmation by email. This will include when you can expect your shipment. If you order before 16:00, you will have FLVX within 3 working days. The delivery days are merely an indication and no rights can be derived from this. We always do our utmost best to ship your order as quickly as possible. This indication does not apply to orders from countries outside of the Netherlands. International orders will always be delivered at least one working day later. We recommend first of all to wait another day, in exceptional cases the delivery process may take longer. If your order still does not arrive, please contact us via: contact@flvx.me, and we will make sure it will be fixed. Improves mental performance. The nootropics in FLVX have been scientifically proven to increase alertness and relaxation, and to put you into the ideal mental state to get things done.